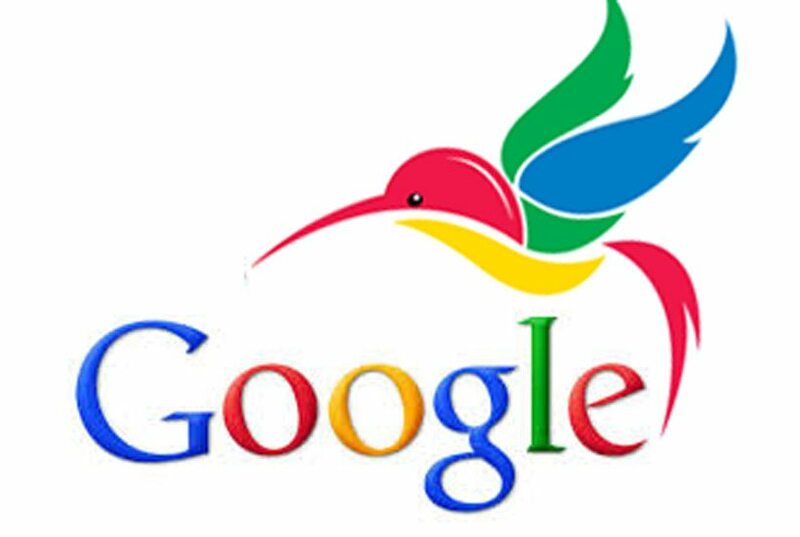 Hummingbird was officially announced by Google on September 26, 2013 and has been rolled out for a month prior to the announcement. According to Google search chief Amit Singhal, this is the biggest change to Google algorithm since 2001. While Penguin and Panda were additions to the existing one, Hummingbird is a complete replacement of the algorithm. The first two have been incorporated into the latter though. Like a hummingbird, the update is “precise and fast”. It acknowledges context, timeliness, conversational search location cues and Knowledge Graph data. It is also smarter – it can answer questions, filter them and give you comparison information, at a glance. It is designed to handle complex queries on desktop and mobile searches. While Hummingbird is not primarily focused on general search quality but instead on data retrieval, artificial intelligence and how data is accessed and presented to the users, the upgrade impacts 90% of searches worldwide. PageRank continues to be one of the 200 signals used to rank pages. There is less emphasis on individual keywords but instead more on their collective (semantic) meaning. With Hummingbird, Google underscores the importance of user intent over pure keyword-based interpretation. Simply put, when a user makes queries on the engine, Google will not treat them as a group of keywords but rather it will attempt to understand the meaning behind the query made. For instance, when you search for something like “what’s the closest place to buy the iPhone5s to my home”, it will not rely on the terms “Buy” and “iPhone 5s” and generate results that may not be relevant to you. Instead, it will focus on the context as much as the content. It might look for the location of your house first (if you shared it with Google) and then give you the nearest store that sells the gadget. Hummingbird is taking into account the whole sentence, conversation or meaning rather than particular words. Below is quick checklist of the top things you can do to prepare for the effects of Hummingbird. Grow your website’s entrance pages by introducing new and fresh content regularly. A website with more entrance pages is a stronger resource for answering questions, offers expertise on wider topics and ranks more on long-tail terms. If possible, gain new keyword rankings every month to demonstrate that your website is a helpful source. Pay attention to the breaking news and produce well-researched content based on the latest trends on your niche. Design infographics and make videos as deemed fit. Publish blog posts that answer comprehensive questions. They need to be deep and rich that do not center on key phrases alone but instead, help people solve problems. Build content with concept and context in mind. Hummingbird will greatly consider question words like “how”, “why”, “where” and “when” in the search phrases. Pattern your next series of blog posts to address the queries you hear from your customers. It can be about your product, how to use them or topics that are related to what you are offering. Always include a call-to-action at the end of each entry so they will be properly guided to the next steps they need to undertake as consumers. This doesn’t necessarily mean that you have to completely change all your titles to question formats though. Just ensure that they send semantic Q/A signals within the HTML. Include an FAQ page in your site. Segregate your Q&As according to specific topics to avoid exhaustively long pages. Add it to your main and secondary navigations so visitors can easily spot and click on them. Link Building and Social Media. Continue building links from authority websites. Hummingbird will continue to rely on link analysis, Panda and Penguin will still serve as filters that affect how results are ranked and PageRank (PR) will stay as one of the 200 SEO factors that determine quality pages therefore continue the habit of acquiring credible and authoritative links – links from relevant, evergreen sources and reputable online publications. Diversify your anchors. Do not pattern all your anchor texts in the form of a question like this: How To Survive Google Hummingbird? Apply SEO best practices in terms of anchor text diversity. Maximize Google Plus to improve visibility. Google Plus is the social spine that improves the user experience across Google. Therefore, share a variety of content types that include text, audio and visual. Join Google Plus communities, build your audience there, answer questions and establish your expertise. Create video content through Hangouts or Youtube and utilize hashtags effectively. Use social signals to identify and address the needs of your audience. Find out how your customers talk about your products and services. Then, develop solutions across multiple platforms – not just on your website but also on relevant social communities. Focus not only on the number of shares and likes but also on the social engagement and the reputation where those shares are coming from. Work on having your content shared by “influencers” or people with authority. Establish relationships with the visitors and engage. Improve other social factors like ratings and reviews. Link your Google+ profile to the content you create. Authorship markup helps algorithms find and present relevant authors and experts in Google search results. If you can be seen as an authority on a particular subject, Google will likely place trust in your created content. Hence, improve author rank and position yourself to be the provider of answers that people are seeking. Apply Structured Data Mark-up. Add schema.org markup to the pages on your site so that Google can understand the data it contains. For example, if you mark up the events in your site, the next time Googlebot crawls it, the event data will be available for rich snippets on the SERP. Optimize content for mobile. Google referenced mobile extensively during the announcement of Hummingbird and mentioned improvements to their mobile search – “It’s cleaner and simpler, optimized for touch and results (are) clustered on cards so you can focus on the answers you’re looking for.” With the continuous growth of smartphone usage, it is a given practice for any digital marketing agency to include mobile optimization as a content marketing strategy. So think about the usual questions your customers will ask Google verbally while they are using their mobile gadgets. See how your business shows up upon querying certain terms or queries. Focus on semantic analysis on keyword research. Go beyond the terms and work towards conversational keyword targeting. Since Google has started encrypting search queries in Google Analytics, soon, you’ll know how many visitors were referred by Google but not what they typed in to get there. Sort the traffic from which page they landed. Certain landing pages are optimized for certain group of phrases so this is a good indication which phrases work best. Build your list based on variety – relevant questions, statements, related people, places or things. Research on the conversational side of the product you’re offering and the topics being discussed online. Provide the pros and cons, varied opinions and facts and information that are contextually relevant to your customers.